Wine making on the Olympic Peninsula of Washington has been here for decades, making our area one of the oldest winery regions in the state. Names now legendary in the state’s wine history, like Romeo Conca and Gene Neuharth, followed their passion and pioneering spirit to locate their wineries here. Today, there are seven of us with more in the planning stages. Wineries as unique as our Peninsula, and as awarded as any in the Northwest, are here for your exploration and enjoyment. Washington State has a long history of wine making with the first wine grapes planted at Fort Vancouver by the Hudson’s Bay Company in 1825. By 1910, wine grapes were growing in many areas of the state, following the path of the early French, German and Italian immigrants as they settled in and carved out homesteads and farms. The arrival of Prohibition in 1920 put a damper on wine production, but ironically it helped spawn increased interest in home wine making. At the end of Prohibition the first bonded winery in the Northwest was founded on the west side of Washington State at Stretch Island at the southern end of the Olympic Peninsula. In the early 80’s there were less than 20 bonded wineries in Washington State, and of this handful the Olympic Peninsula had two rising stars in the small rural town of Sequim. Gene Neuharth, a transplant from the California wine industry started Neuharth Winery in 1979 in an old dairy barn, and Romeo Conca, a home winemaker with a long family history of Italian style home wine making, opened Lost Mountain Winery in 1981 in the basement of his home. 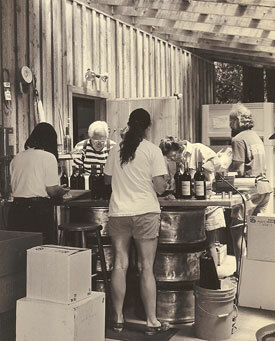 While Romeo and Gene have both passed on, Lost Mountain Winery carried on under family ownership until they retired in 2009, and Neuharth Winery has evolved into Olympic Cellars. And Romeo’s and Gene’s vision and passion for wine making on the Olympic Peninsula has been passed on to those that followed in their footsteps. 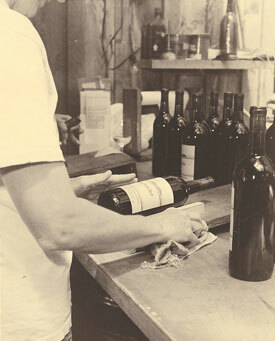 Their spirit of cooperation and enthusiasm was instrumental in encouraging other winemakers to follow their dreams and embark on new careers in wine making. With most of our Washington wineries over 10 years old, and with some of us nearing 30 years of vintages passing through our cellars, our small artisan operations continue to focus on small quality production and our role as pioneers in producing wines that are as distinctive as our locations. We are proud of our heritage of the past, and are delighted to continue to be an essential part of the future. Our pioneering spirit is still alive and well on the Peninsula. 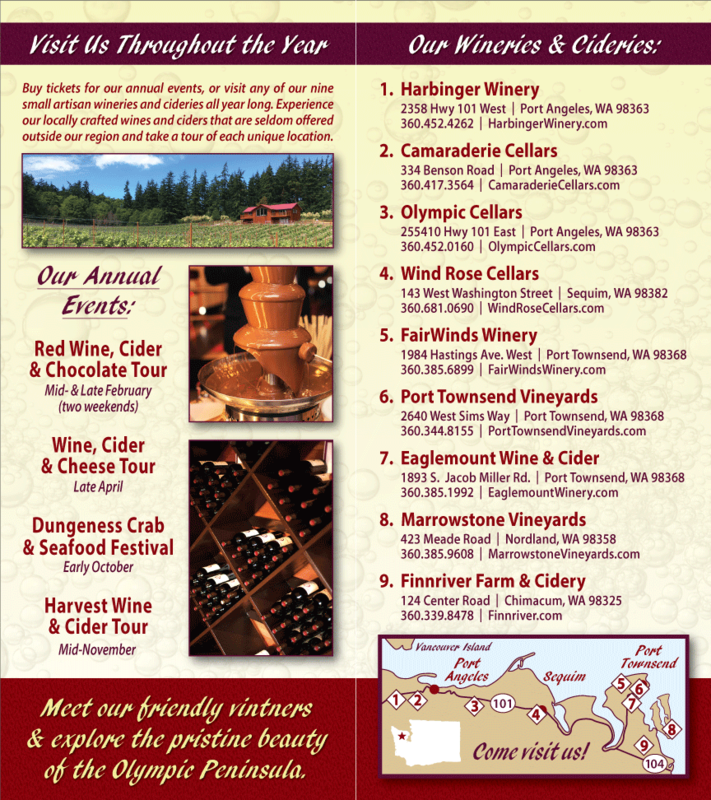 In one of the most scenic areas of the state, the six wineries scattered from the shores of the Victorian Seaport of Port Townsend to the mountains of the revitalized Port Angeles, cling tenaciously to the tenets of individuality, gracious customer service, and quality wine. Romeo and Gene would be proud.